From Trevor Jackson celebrates the art of physical music with ambitious new project. 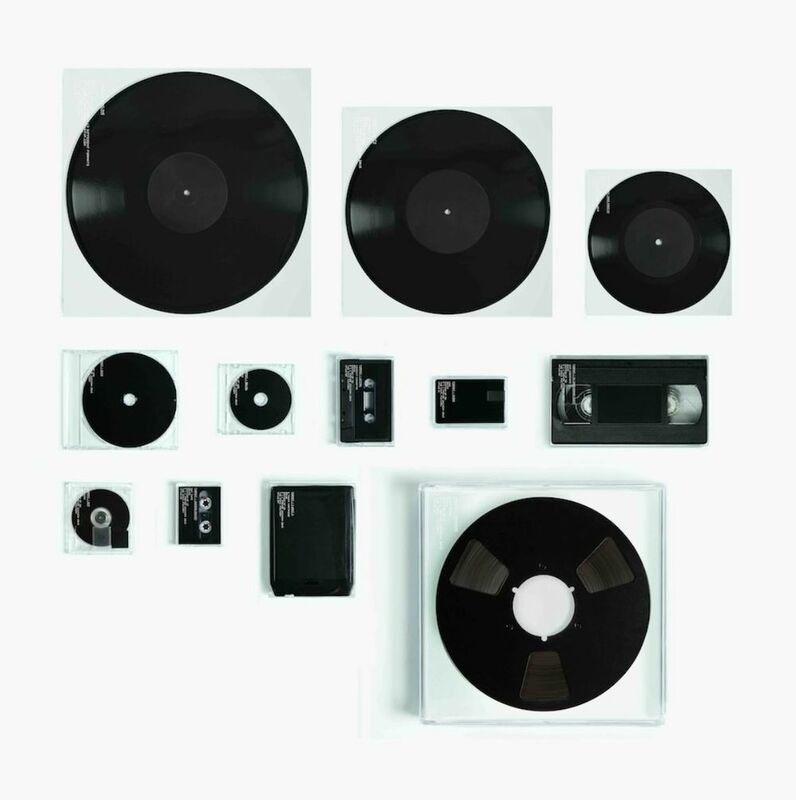 On 25 February 2015, acclaimed creative director, artist and music producer Trevor Jackson will release F O R M A T. Jackson’s first album in 14 years, F O R M A T will initially be released as a unique limited edition consisting of 12 different musical formats each containing a separate track. A collected vinyl edition and digital versions will follow shortly after, all on The Vinyl Factory. F O R M A T is no ordinary album release – instead it charts the legacy of the physical music format, in a characteristically beautiful and uncompromising way, paying homage to physically released formats over the decades and also celebrating the artistry, design and individual experience of playing music via traditional methods. For the limited-edition release each of the 12 tracks will be presented on a different format designed by Jackson and produced by The Vinyl Factory. Including 12″, 10” and 7” vinyl, CD, Mini CD, Cassette, USB, VHS, Mini Disc, DAT, 8-track and Reel-to-Reel. As for the music itself – Jackson, over the years, has built up an archive of around 150 unreleased tracks. For F O R M A T he has carefully selected, re-edited and remastered a selection of these tracks to create a new body of work. Touching on synth and beatbox workouts, proto-house, new wave, on Italo and techno, on ambient and psychedelia, the tracks are, the same time, none of these things. An accompanying exhibition will take place at The Vinyl Factory in Soho, offering people the first chance to listen to the album in full, see and purchase the limited edition formats and also experience a new audio-visual artwork by Jackson. F O R M A T will be released by The Vinyl Factory in February 2015 in 12 different limited edition formats. Vinyl and digital album versions will be released a month later.